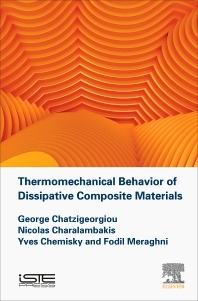 Thermomechanical Behavior of Dissipative Composite Materials presents theoretical and numerical tools for studying materials and structures under fully coupled thermomechanical conditions, focusing primarily on composites. The authors cover many aspects of the modeling process and provide the reader with the knowledge required to identify the conservation laws and thermodynamic principles that must be respected by most solid materials. The book also covers construct constitutive laws for various types of dissipative processes, both rate-independent and rate-dependent, by utilizing a rigorous thermodynamic framework. Topics explored are useful for graduate students and advanced researchers who wish to strengthen their knowledge of the application of thermodynamic principles. George Chatzigeorgiou is a Research Scientist at CNRS and a member of the LEM3 laboratory at Arts et Metiers ParisTech. Nicolas Charalambakis is Professor Emeritus in the Department of Civil Engineering, Aristotle University of Thessaloniki, and member of the Center for Research and Development of Advanced Materials, AUTH and Texas A&M (CERDAM). Yves Chemisky is Associate Professor at Arts et Metiers ParisTech since 2011. Fodil Meraghni is distinguished Professor at ENSAM Arts et Metiers ParisTech, and head of the SMART research group of LEM3 laboratory.